This week we are featuring our Fresh Take Kale. Dark leafy greens like kale are tasty and good for you! Here in these hot days of summer, Salads take center stage on our farm table. This one does require you to turn the oven on, but I think you'll love the result. This recipe is chock full of healthy veggies and a delicious spicy dressing. Kale is one of the most nutrient-dense foods on the planet. A single cup of raw kale has all of the recommended daily servings of vitamins A, K and C, and a good chunk of the other vitamins and minerals you need too! Kale is also loaded with powerful anti-oxidants, and.it is heart-healthy and anti-carcinogenic. We swear by it! Broil the ginger still in its skin, turning once, until very dark brown and beginning to scorch in places and a paring knife passes through the center with relative ease, about 40–50 minutes Let it cool; slice (leave the skin on). Pulse ginger, chile, garlic, fish sauce, sugar, oil, and 2 Tbsp. water in a food processor, adding some additional water by tablespoonfuls if needed, until a paste forms. Toss the kale and ¼ cup dressing in a large bowl to coat. Toss cucumbers, radish, onion, lime juice, and sugar in a medium bowl to combine; season generously with salt. Let sit for about 10 minutes. Add cucumber mixture to bowl with kale and toss to combine, adding additional dressing if desired. Serve topped with cilantro and fried onions. A great treat in early summer are garlic, onion and leek scapes. An scape is the harvested stalk of the plant, cut before it can blossom into a flower. and go to seed Onion scapes have a mild onion flavor and can be used similarly to onions in cooking. This recipe uses the flavor of the onion scape to take BBQ burgers to a new level. Heat the olive oil in a small pan and saute the onion scapes and chopped garlic together for 3-4 minutes. Let cool slightly. Mix the egg, ground beef, and spices. Mix in the cooled onion scapes and chopped garlic. Grill over direct heat for 8 - 10 minutes, flipping periodically. Melt cheese over the burgers on the grill when done. 45 seconds - 1 minute. Serve on a warm toasted bun with your favorite Fresh Take lettuce, tomato and onion! Garlic scapes are the flower bud of the garlic plant. We remove the buds in late June to thicken up the bulbs. Scapes taste just like garlic and they can be used in recipes exactly the same way as garlic. Garlic scapes are super versatile. They can be grilled, sauteed, roasted, pickled, or in a soup. The tender stem-tops and buds are delicious chopped up raw. Garlic scapes pack a major nutritional punch for a mere 30 calories per 100 grams. They are high in fiber and contain good amounts of vitamin C and pro-vitamin A, which protects your skin and lungs. In a dry pan without oil set over very low heat, lightly toast the pine nuts, stirring occasionally until beginning to brown. Remove from heat and let cool for a few minutes. Combine the scapes, basil, toasted pine nuts, lemon juice and zest, salt, and pepper in a food processor. Add oil a little at a time while pulsing until fairly well combined. 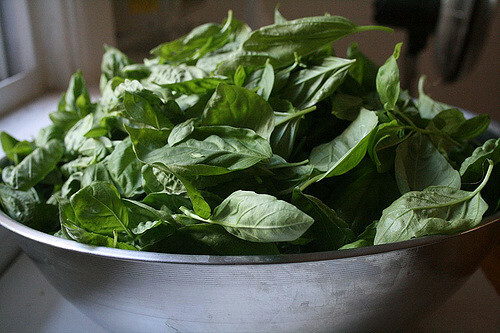 When the oil is mixed in well, transfer the pesto to a bowl and stir in the grated cheese. If you plan to freeze the pesto, add the cheese after it is defrosted. Fiddleheads are the delicious edible shoots of a new fern sprout, they get their name from their curled and unfurled shape. Fiddleheads are a very special treat that come across our table for just a few weeks each year, therefore they deserve gourmet treatment. 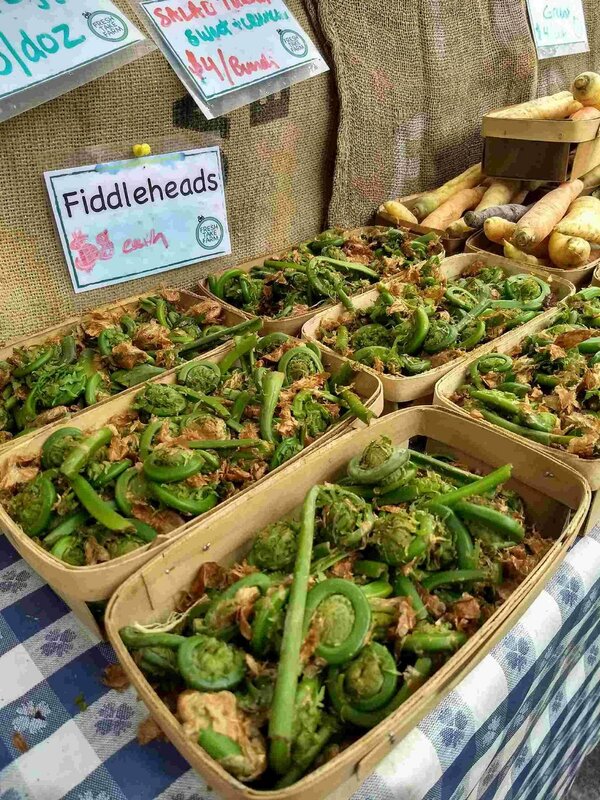 Unlike a lot of fresh Spring veggies, you can't just reach down and pop a fiddlehead in your mouth and eat it raw. They need to be cleaned and cooked before you can enjoy them. Cleaning fiddleheads can be a little tricky, see the directions below for some tips on how to get them ready. We made this recipe at a Spring BBQ with another family, just leave off the chorizo sausage for the kids, or substitute with sweet sausage. Our vegetarian friends thought the Fiddlehead Fettuccine was great even without the added meats. Move the fiddleheads into a different bowl, leaving as much husk behind as possible. Then fill the bowl with water and swoosh the fiddleheads around with your hand to remove more husk. Boil the Fettuccine in lightly salted water for 9 - 10 minutes. Add the cleaned fiddleheads and lightly saute for about 10 minutes or until tender. Add 1/4 tsp of powdered sage. Plus salt and pepper to taste. Drain the fettucini and toss with a little olive oil. Combine the Fiddlehead mixture and the Pearl Mozzarella with the Fettuccine and toss to combine. Cook the Chorizo Sausage over indirect heat on the grill, turning periodically until done. Then finish by browning over direct heat. About 15 - 20 minutes. Brush shrimp with a little olive oil, salt and pepper. Slice the chorizo into 1/2 inch sections and combine in a bowl with the shrimp. This week we have two great tastes that go great together. Potatoes and Carrots! These wonderful and versatile root vegetables are chock full of vitamins and minerals. This week we're making the perfect comfort food for a cool and rainy May evening. Carrots need no introduction. They are a mainstay of a healthy diet, great for snacking, salads, stews, and soups. They are low in cholesterol, good for the heart, eyes, skin, and the immune system. We have plenty of them available here at the market for you! Did you know that potatoes are good for you? Maybe not the french fried variety, but potatoes are a great source of vitamin C, vitamin B6, and potassium. 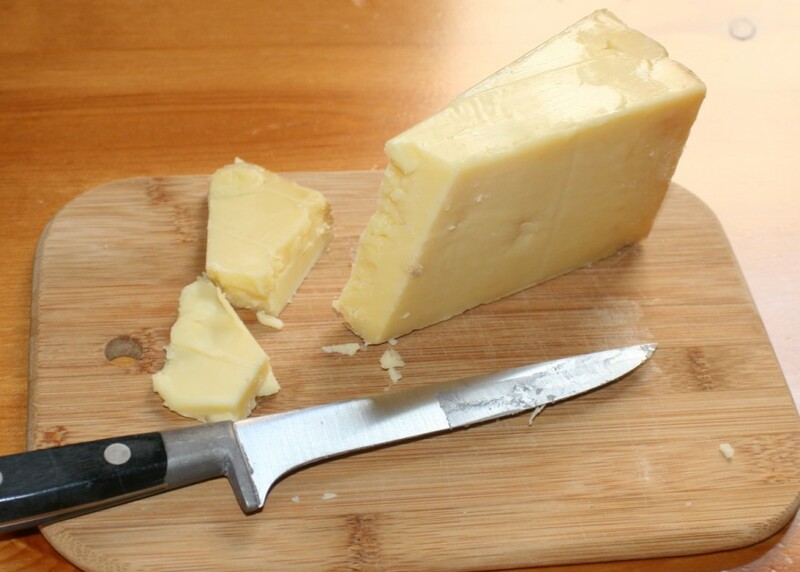 Carefully melt the butter in a large pot over low heat to prevent scalding. Add the onion when the butter starts bubbling and cook until the onion begins to turn translucent approximately 3 or 4 minutes. Add the chicken broth, carrots, potatoes, herbes de Provence, thyme, and bay leaf to the butter and onions. Season with some salt and pepper. Raise heat to medium-high and bring to a boil; reduce heat again to low and simmer until the potatoes are nice and tender, usually about 30 minutes. Pour the soup into a blender, filling the pitcher no more than halfway. Place a folded kitchen towel on top of the lid to prevent an explosion! Start blending using a few quick pulses before allowing to blend continually; puree in batches until smooth. Divide into soup bowls and garnish each portion with about 1/2 tablespoon heavy cream and a sprig of parsley. As things start sprouting here at the farm this week we're featuring our Spring Mix with carefully selected tender baby lettuces and greens, fleshly hand-picked when the tiny leaves are perfect and whole. We think that our Spring Mix is delicious all by itself, but today we're taking it to a different place with the help of some Cranberries, Green Apple, Walnuts and Washington County Goat Cheese. The dressing is a New Orleans style Hot Pepper Vinaigrette to give all that sweet stuff some spicy kick! However, if you are light of heart, the spiciness is totally optional! A simple balsamic and olive oil would be a fine substitute. We went a little overboard with the minced shallot! Place all ingredients in a medium bowl and whisk well. Place all ingredients in a large bowl and gently toss. We're always looking for side-dish ideas to accompany our Fresh Take chicken roasters and potatoes! This dish really adds some color to the plate! This week we're featuring the big three: Carrots, Onions, and Spinach. Carrots are a healthy snack, chock full of vitamins and minerals, especially vitamin A (from beta-carotene), biotin, vitamin K (phylloquinone), potassium and vitamin B6. You'll be happy to hear we have plenty of delicious and nutritious carrots available at the market! Add spinach and some onion and you're really in for a tasty treat! The value of eating green leafy vegetables can't be understated in this cold weather, they are great for circulation and keeping those fingers and toes warm. But the nutritional value of onions is often overlooked! 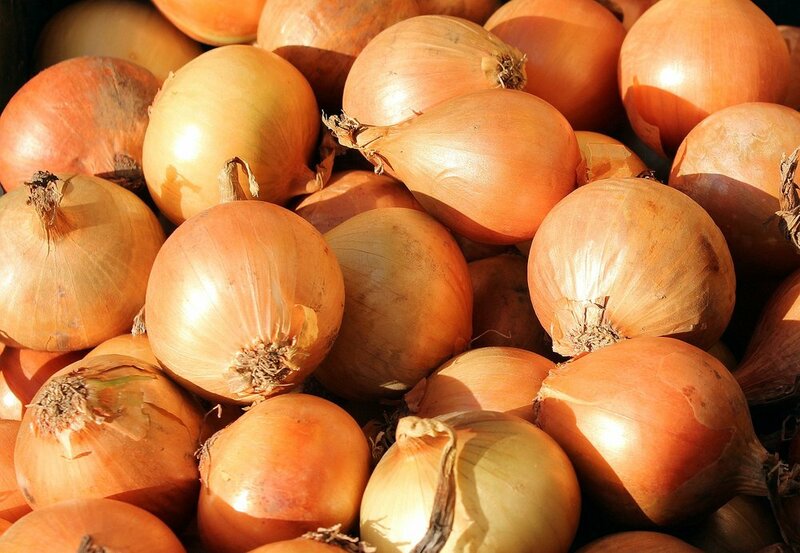 Onions are a great source of fiber and folic acid! 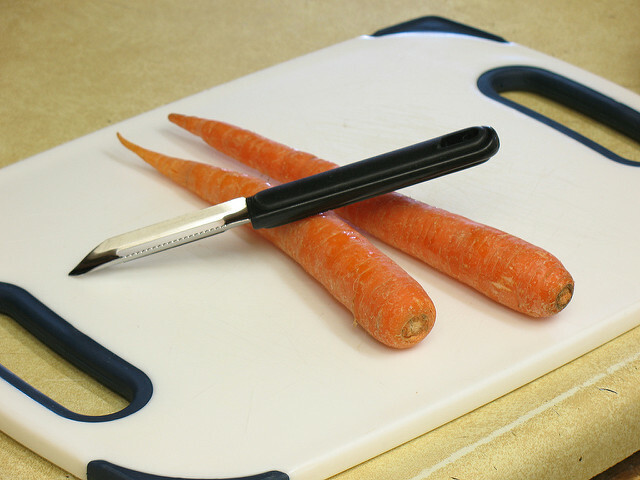 in a large skillet, sauté carrots in olive oil for 3 or 4 minutes. Add onion and stir until tender, about 2 or 3 minutes. Add the garlic and stir for around 30 seconds. Add the spinach and stir until wilted..
Once cooked, remove from heat and place skillet contents in a serving dish. Spinach will continue to wilt if left on the heat. This week we're featuring our Fresh Take Spinach! Come get a bunch of this versatile and healthy green at the farmer's market! There's more than one way to be the life of the party! When you bring this warm, fresh spianch artichoke dip you can pretty much guarantee your popularity, at least until it's gone. We can think of some less healthy snacks, but it would be hard to call this dish "low-fat" so make sure to share! Let the spinach cool, then squeeze out the excess water. In a medium bowl, mix together spinach, garlic and lemon zest. Add the chopped artichoke hearts, a cup of the parmesan, sour cream, mayonnaise and cayenne pepper. Mix that stuff. Get funky. Place into the buttered casserole dish. The last 5 minutes add the remaining 1/2 cup of Parmesan on top and maybe another dash of cayenne for color. Serve hot, or warm along with pita chips. Another Beet recipe? Trust me, you'll love it! This is a fun time at the market where we have all of the usual winter root vegetables, but we also have some greens starting to come out too! It's a good weekend for a fancy salad. Feel free to add some chopped carrot, radish or even some sliced apple if you have it! It's a well known fact that Washington County makes the best goat cheese ever. We've got Spinach so fresh that it would blow Popeye's mind! Wrap the peeled beets in foil packets with a sprinkle of olive oil and roast in the oven until tender, about 1 hour. Open the foil packets and let cool. Once cool enough to handle, dice up those beets. Then to make the dressing: In a medium bowl, add the olive oil, vinegar, honey, red onions and Dijon and whisk together. Add the beets and spinach to the dressing and toss to coat. Top with the goat cheese and walnuts. Beets are a mainstay of the Winter market. For some, they can be an acquired taste so it helps to mix it up to make this versatile vegetable stand out. One of our favorite ways to prepare beets is to cube them and bake them with a little garlic, olive oil and salt. Today we'll go a little beyond that! Boil beets on the stovetop for 5 minutes, then blanch to cool. 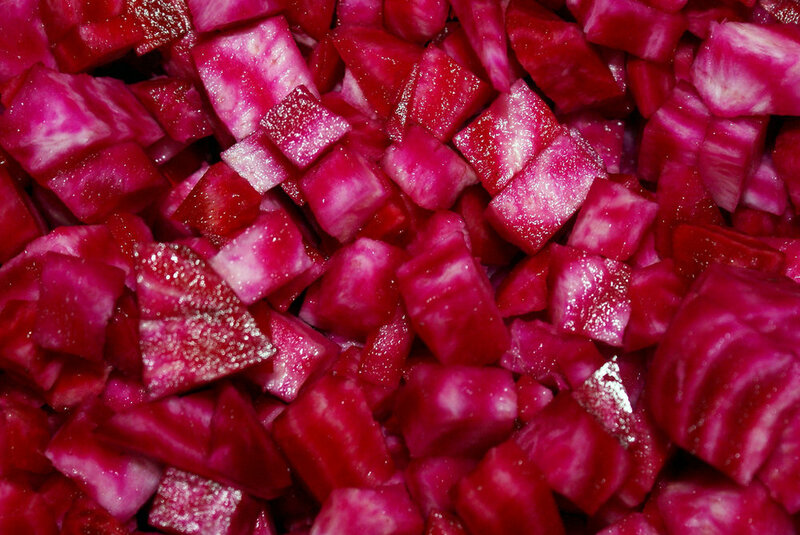 Cut those delicious beets into 1-inch chunks. Toss with the oil and season with 1/4 teaspoon salt and pepper. Roast for 30 minutes, stirring every so often. Sprinkle with the spices and roast again until the beets are nice and tender, about 15 minutes more. Meanwhile, mash the garlic with a pinch of salt until it forms a paste. Scrape the warm beets into a large bowl. Stir in the dressing. Garnish with a little extra cilantro.